At the Linen Hall Library we believe in exercising your mind – and your body! 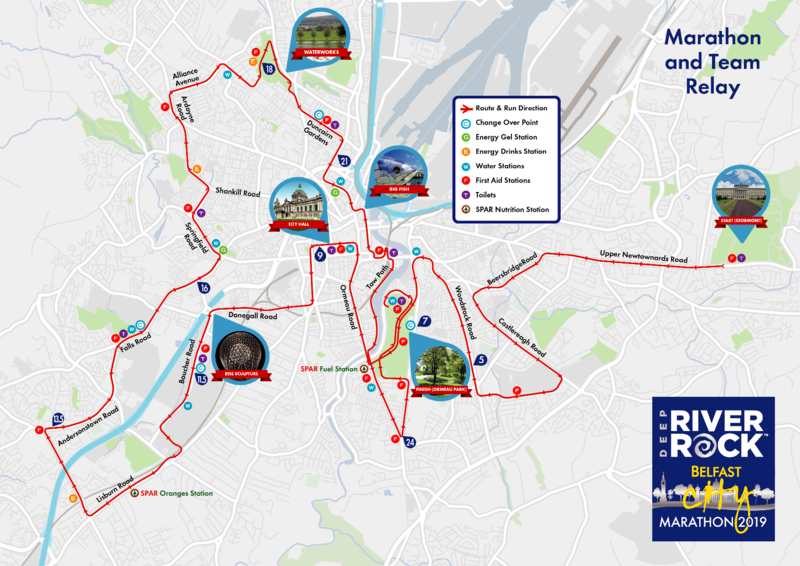 We are, therefore, delighted to announce that Team Linen Hall will be running the 2019 Deep RiverRock Belfast City Marathon on Sunday 5 May. As the Linen Hall is a charity, this is also a way to raise funds. Please donate online (button below) or in the Library to show your support! Five staff members rushed forward when the call went out to create Team Linen Hall. Alistair, Jason, Rachel B., Rachel W., and Valeria will run the Team Relay (see map below).